Our 2015 Pewter Buckle is a different version of one of our favorite buckles. 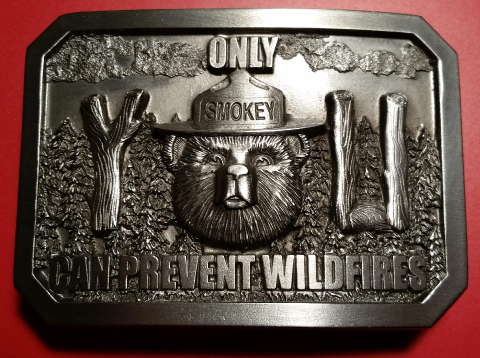 Wording says ONLY YOU CAN PREVENT WILDFIRES. 3 1/4" X 2 1/4" Made in the USA.